Steamboat Springs, Hayden and the surrounding Yampa Valley offer a multitude of opportunities for adults to live an active lifestyle. This also offers a great opportunity for children and adolescents in our valley. Unfortunately, it is a fact that children and adolescents are spending less time engaged in physical activities than previous generations. But children and adolescents who grow up in families who are active and play active together are much more likely to be active as adults. Activities do not need to be structured: all physically moving activities count! The BIG key is to get the newer generations away from sedentary electronic and gaming activities, and get them involved in a vast array of positive physically active opportunities. One excellent resource for physical fitness for children and adolescents in Steamboat Springs and our Yampa Valley is the opportunity for participation in a number of sports. Most of these programs are available through our local schools. These sports provide a great way to work on physical fitness, meet other peers, and develop a healthy team attitude and good sportsmanship. Families also have an opportunity to be involved together and with other families. As you enroll your child for a particular sport activity, your child may be required to have had a sports physical within the year. (Also known as a preparticipation physical exam, or PPE.) Although many people believe the main purpose of the exam is to ascertain the adolescent is healthy enough to safely participate in sports, it is an opportunity for so much more. Pediatric and Family Medicine professionals have supported the sports physical encounter as an opportunity to address a number of health concerns of the adolescent. In the past, children and teenagers rarely accessed regular health screenings. Sports physicals were a step to addressing this concern. Sports exams offer a wide variety of styles. Inexpensive mass sports physical clinics provide a way of getting lots of participants screened in a minimal amount of time. It meets the minimal standards, which may be right for some. This was reasonable when many people were uninsured or did not have insurance that covered wellness visits, and finances were strained. But with the advent of The Affordable Care Act, many more financially stressed families have access for insurance that covers well checks, and those with insurance can take advantage of the mandatory yearly free wellness exams that insurance is required to cover. Wellness exams are more likely to address all the health concerns of adolescents and provide health guidance opportunities, which was the original intent of the preparticipation physical exam. If only a sports physical is requested, Steamboat doctors and Steamboat pediatricians at Steamboat Medical at the Pine Grove Clinic and the Hayden Family Medicine and pediatric clinic can provide that service. It is not comprehensive, not covered by wellness benefits, and therefore similar to the sports physical visits offered at other local health clinics. Access is generally very quick. It might even be available on a case by case basis in our urgent care clinic 7 days a week if urgently needed. Our 7 days a week family medicine clinic strives to allow extra access for health care needs even in the evening and on weekends. We have for 40 years. Ideally, however, a parent can schedule a comprehensive well child visit during our regular hours which addresses so much more. This is so much easier since health care reform. Insurance for financially stressed families is readily available in Colorado and families with insurance have a covered yearly wellness benefit which covers the physical. The wellness visit will serve the purpose of a sports physical and so much more: which was the original intent of this requirement. A sports physical involves a minimal history and a physical exam aimed at detecting potential medical problems that could present a health danger to sports participation. But sometimes it is so brief, it may not be able to identify other serious health concerns that do not necessary have anything to do with sports clearance. A wellness visit addresses a comprehensive health assessment. Wellness tries to elicit personal or parent concerns or issues that require a follow up focused visit: mental health problems, high risk behaviors, headaches, skin issues and other individual concerns. Wellness assists in establishing good health practices–that is, periodic health exams throughout life that identify age specific health concerns. Wellness encourages the establishment of a personal doctor with a pediatrician in Steamboat Springs or a family physician in Steamboat Springs. Then when health concerns occur, or a health problem develops, the adolescent feels so much more comfortable visiting a doctor whom he/she already knows and has established a health relationship with. This is especially helpful if mental health or very personal health issues arise. Access to health visits can be delayed due to anxiety about establishing a new provider, especially for a teenager or child. Establishing a provider also offers opportunity for the parent to bring up health concerns to the personal doctor for their child or teenager whom they have a had the opportunity to develop a family oriented health relationship with. Wellness addresses the sports physical, but also screens mental health problems including anxiety and depression. It addresses immunization status. It elicits personal concerns. It screens for academic issues, nutritional issues, elimination issues, physical fitness issues and high risk behaviors. Wellness also offers age specific targeted advise for health issues, including nutrition, physical fitness, alcohol, drugs, sexual activity, smoking and other high risk behaviors. This reinforces and partners with the parent’s efforts and values in trying to steer their child in the right direction. 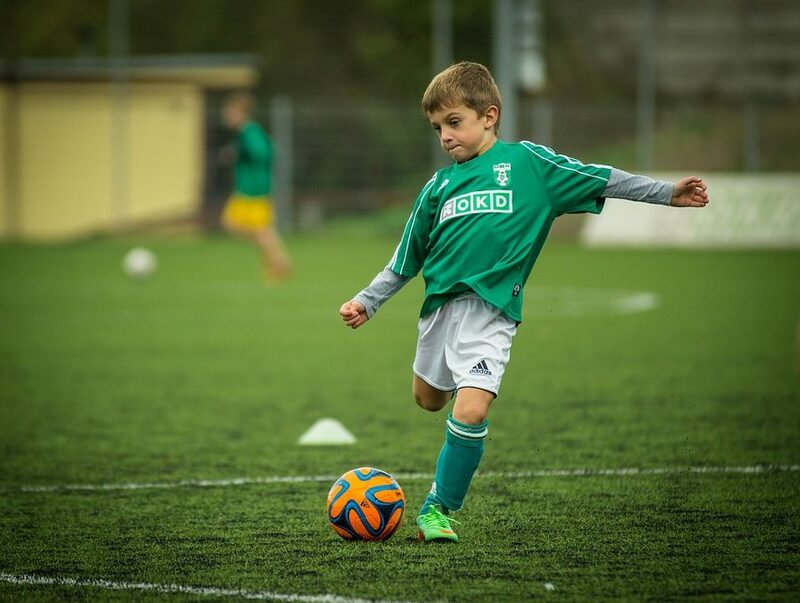 Serial wellness exams offer the opportunity to identify chronic problems that might be overlooked at a sports physical, especially growth and development. Wellness exams complement the visits for specific targeted exams for health conditions such as asthma, diabetes, acne, allergies and other medical issues. A personal heath provider is the best doctor to look at the whole person and the whole picture. The physicians of Steamboat Medical in Hayden and Steamboat are among the best doctors in Steamboat –and have been so for 40 years. Wellness exams establish your child or adolescent as a patient at Steamboat Medical Clinic, where you have access to our 7 days a week family practice for all your urgent care needs. Our Yampa Valley based clinic is dedicated to providing excellent services for residents of all ages, as well as visitors to this ski town. We have developed a strong trust with the community and individuals who visit the region. Wellness visits are available for all individuals, regardless of age, from birth through advanced age. Therefore, the entire family can choose to establish a common doctor or establish each their own personal doctor of their choice. We provide a comprehensive premier family care practice. To schedule an appointment at our Pine Grove Clinic call 970-879-0203. To schedule at our Hayden clinic call 970-276-4270. See our home page for hours. This provides a great opportunity to invest in your child or adolescent’s health now, and for their future. Which do I choose: Primary Care, Urgent Care or Emergency Care?? ?